This past November, Nelson-Jameson and one of our key suppliers, 3M™ Food Safety, launched an experiment aimed at critically looking into understanding and seeking out solutions related to food safety. Contingents from both 3M and Nelson-Jameson were able to sit down with representatives from several major West Coast food production facilities at the Fess Parker Doubletree in Santa Barbara, California. The aim was a simple one…to hear out the challenges that customers are facing, and to dig into ways that Nelson-Jameson, a supplier focused on helping our customers deliver safe, quality food to the market could be of assistance. 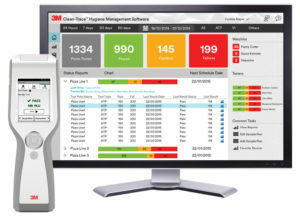 Along with that, working with 3M, an innovator in research and development of food safety-focused products (including Petrifilm™, the Molecular Detection System, and the LM1 Hygiene Monitoring System), to see what we could collectively do to better assist food producers with food safety concerns. Working as a conduit between our suppliers/manufacturers and our customers is something we significantly value. It gives us the ability to bring new, and innovative ideas from the folks on the floor using the products to the people responsible for filling the pipeline with product offerings. This helps to push our suppliers/manufacturers to search out new methods and solutions. On the other side, we take a lot of pride and excitement in introducing our customers to the latest, and best food-industry-focused products and programs. So, to get everyone together in a room for two days was an excellent mutual learning experience for all. 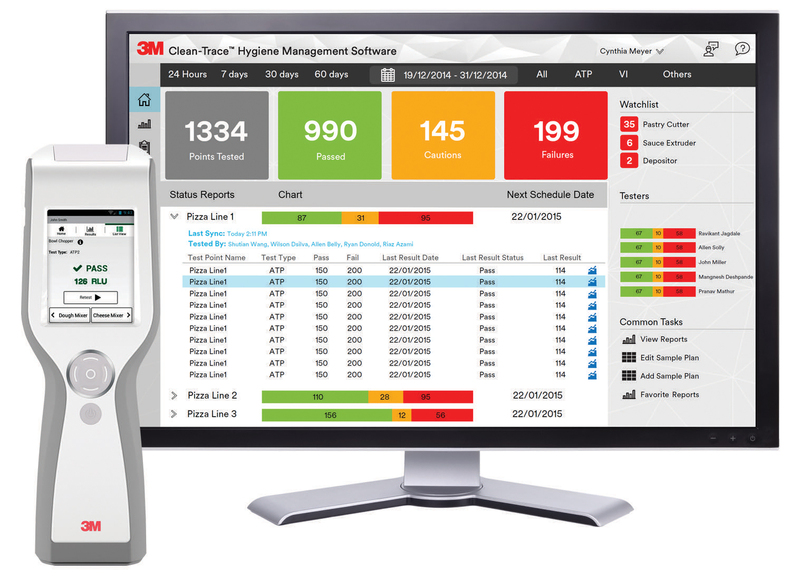 We touched base on pragmatic details like introducing Nelson-Jameson’s 3M Clean-Trace™ Hygiene Monitoring and Management System Contract (commit to purchasing 4 cases/month for one year and get the luminometer/software for free). We also dealt with more comprehensive issues like the challenge of training incoming employees in the food industry, as companies deal with the challenge of retaining quality employees in a competitive market. A wide expanse of food safety-related concerns were discussed. To have these multiple levels of insight freely moving back and forth across the table gave both Nelson-Jameson and 3M a healthy number of items to add to our “to-do” lists. As great as the experience was, we sure don’t intend to rest on our laurels after those few days in California with just the folks around the table! Nelson-Jameson is intent on helping our customers and our suppliers/manufacturers work collectively with us to inform, challenge, innovate, and produce the products and programs that are needed in order to create a safe, quality food supply. So, please be in touch not only with day-to-day questions/concerns about which products are the best for your purpose and type of operation, but also your ideas and feedback on what challenges you are facing, what you would like to see in the marketplace, and what demands you face as an operation. We will continue to work with companies like 3M, as well, to reach out to you, our customers for your valuable thoughts and perspectives. We are proud to be a bridge linking different industry interests together and take pride in helping to drive innovation and moving together on a steady pathway to providing the tools needed to get the job done right the first time. 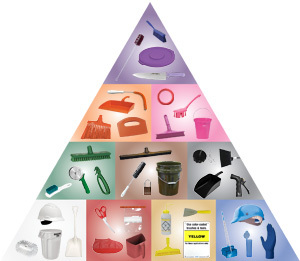 Have you contemplated starting a color-coding program in your facility? Have you ever asked yourself the question, why color-code? Even though it is not a standard or requirement, the peace of mind it can give you, regulators & auditors, and ultimately your end consumer has made it one of the biggest industry trends in recent years. Having the proper color-coded products can promote organization and efficient work flow, reduce the risk of cross-contamination, designate critical control areas, and avoid bacterial and allergen migration. By implementing a color-coding program, you’re building a strong foundation for your facility. As the color-coding industry continues to boom, Nelson-Jameson’s product selection has grown right with it. Our most recent color-coded catalog published this summer features 52-pages of items from the industry’s top manufacturers such as Remco, Carlisle, Rubbermaid, Tingley, and more. Not only do we have a deep selection of products, but our color offerings are also huge. Many of our items have up to 9 colors! Click here for our full selection of color-coded categories.